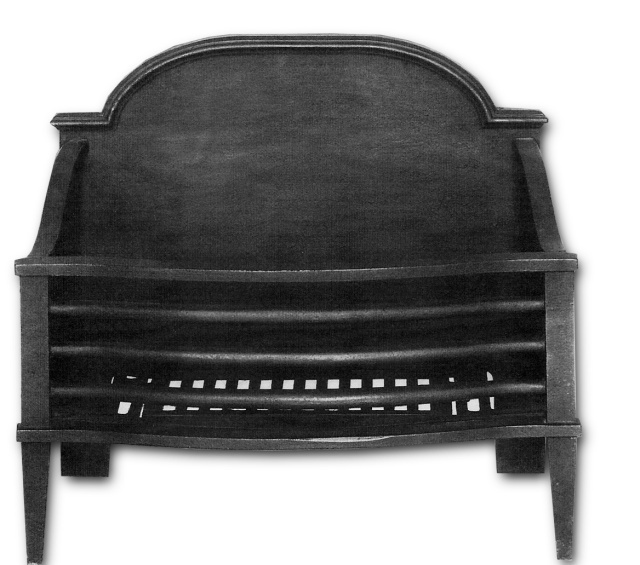 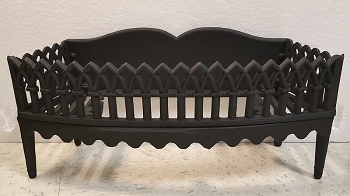 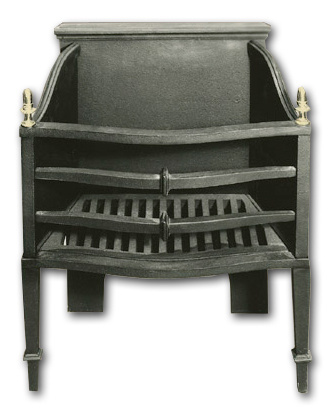 Mid-1800's era Victorian fireplace grate, still made in the USA from the old original molds. 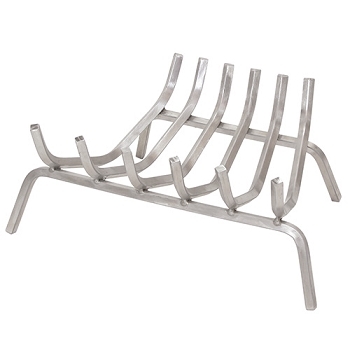 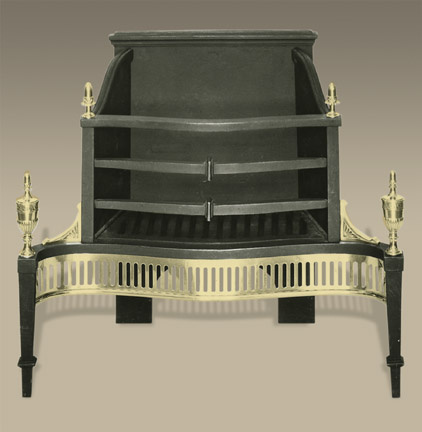 Fits smaller fireplace and offers simple, understated elegance. 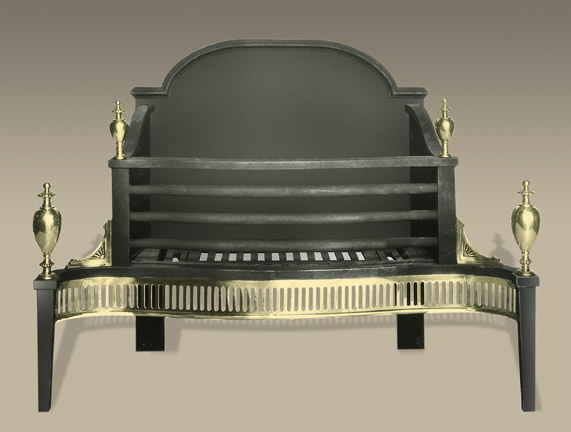 Solid cast iron construction with solid cast brass finials. 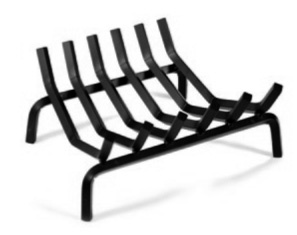 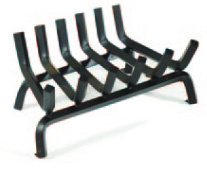 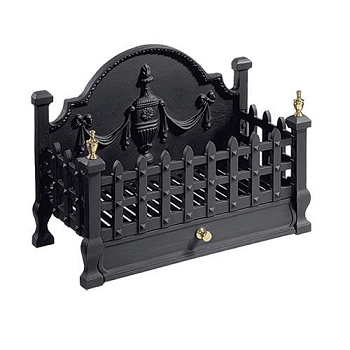 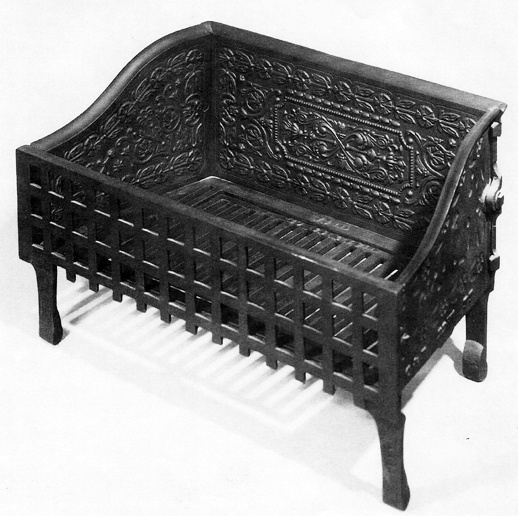 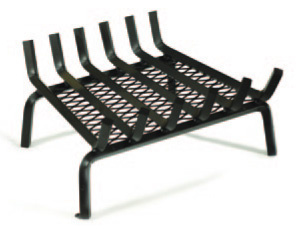 (This model is the same grate as the Jackson 210, but without the decorative dog irons).